The black and white, I’m sure, is better than the color version–so stark and yet so soft… lovely! I thought the same thing. 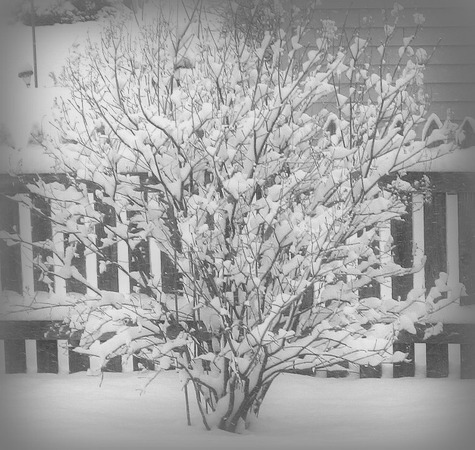 Snow on the bare trees and shrubs is always so pretty, and I like to throw in my little piece of melancholy with the black and white. Thank you, Lorna.